Several weeks ago, my daughter turned 13 and had her Bat Mitzvah. As part of the celebration, we had a luncheon for friends and family. In the lead up to the event, one of the things we needed to do was to send out invitations to all the guests. While everyone does this a little differently…by email, handwritten notes, online invitation services, etc…..my wife wanted to send out a professional, beautiful paper invitations that was appropriate for this particular celebration. My wife spoke to a few of her colleagues and met with a few different invitation designers. 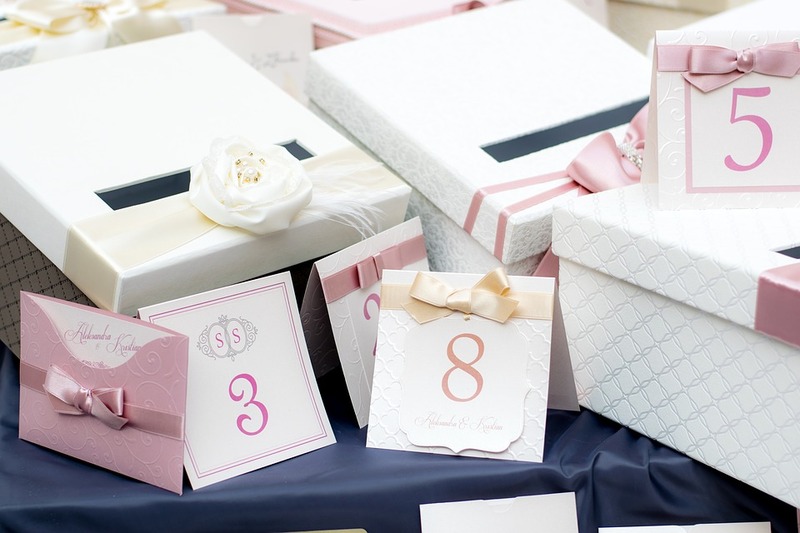 One of them was Gail Agensky, owner of Paper Heart Custom Invitations. As soon as my wife met with Gail, she knew she was going to be “The Person.” Gail was always responsive in terms of calls and emails, she was creative, she was always available to talk even before we put down the deposit, and she was always making suggestions for the theme of the card. It was no contest…my wife decided we were going to use Gail for this work – she was the one that could create the elegantly whimsical invitation. My wife also loved the idea of supporting a woman in a small Canadian business. In addition to coming up with a stunning invitation and envelope, she also suggested a thank you card, using the same style and theme. Gail even helped us design a customized stamp so everything would be tied together nicely. She was also reasonable in terms of price, compared to other quotes we received. Gail obviously knows that a combination of great work and reasonable pricing is the recipe for success. Aside from getting many, many MANY compliments on our invitations, when we mentioned her name, people have said they know and use Gail, and have nothing but great things to say about her and the highest regard for her work. If you’re looking for a creative person to do beautiful graphics, Gail and Paper Heart Custom Invitations should be your first and only stop! Over the past few years, there’s been lot written about the taxi industry, both here in Toronto and all around the world. Most of the news and conversations I hear are related to newer companies like Uber and Lyft which promote themselves as a “ride share service” (I’m still trying to understand how they take cars of the road). While the taxi industry isn’t without its challenges, there are some great companies that are still involved in this business. 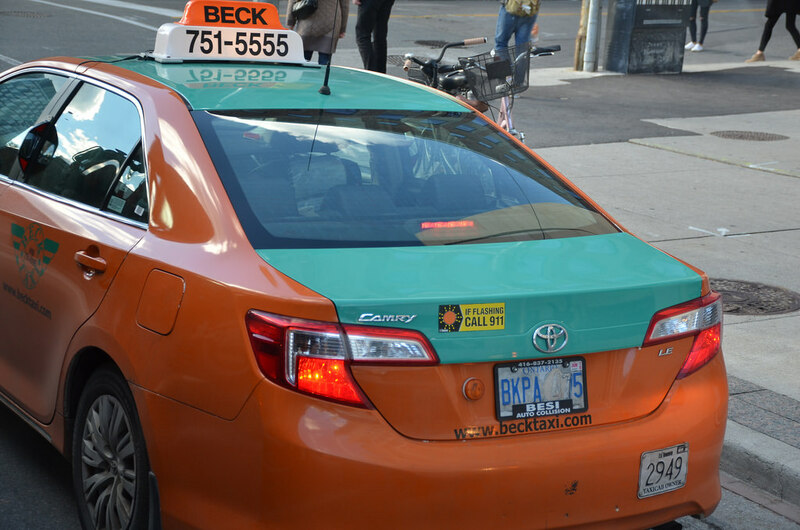 One of the best operators in the GTA, that is easily identified by its telltale green and orange vehicles, is Beck Taxi. Beck is a family-run business that has been in the industry of getting people from point A to point B for over 50 years. Where some operators choose to do the minimum or near to the minimum standards required by laws and regulations, it seems to be part of Beck’s DNA to exceed the requirements, in an effort to provide an outstanding experience. Whether it’s creating an app to keep up with technology (they actually had their app quite early on) and make their service more convenient to customers, putting their drivers through in-depth training (no longer required by law), or taking older vehicles off the road before they have to be replaced, Beck clearly strives to provide the best customer experience. While there are always challenges associated with staff in the service industry, I find that Beck drivers and dispatchers are usually quite friendly, polite, and professional. I also find that for almost all cases, they’re safe operators of their vehicles and are respectful to others on the road. Between increased competition, increased costs of gas, insurance, and other expenses, driving a taxi for a living is certainly not as easy as it seems. In this changing industry, Beck continues to do a wonderful job providing a very safe. comfortable, and enjoyable customer experience. * While I always highlight great businesses, for complete honesty and transparency, it should be noted that members of my family own taxi licenses that are leased / used by Beck. Similar to my last post, where I highlighted an amazing group of people, as a follow-up to that theme, I’d like to give a shout-out to nurses. Unfortunately, from time to time I’ve had to be in hospitals with friends and family members and while I have previously complimented certain organizations, in this case I’d like to show my appreciation for a particular profession. 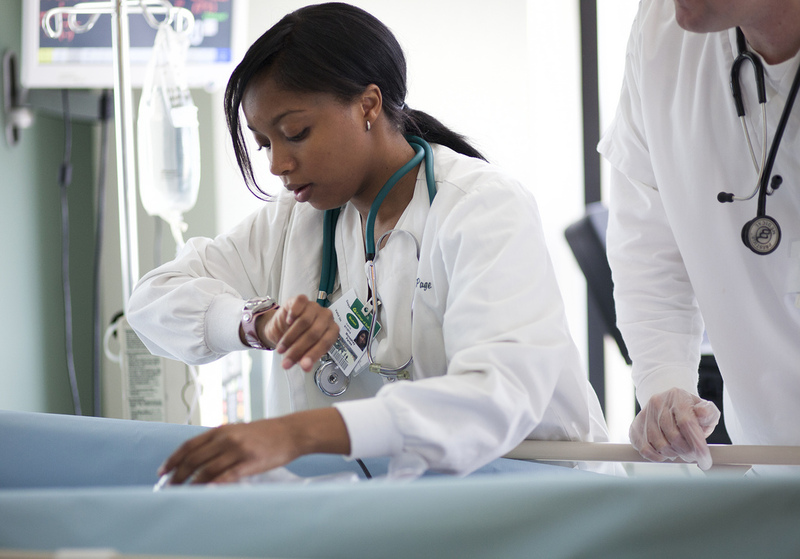 Whether it’s the emergency room nurses who may find themselves overwhelmed on a Saturday night, nurses who are dealing with people who may have mental health issues or just the common flu, nurses who deal with kids, crying babies, or older folks who are upset, they certainly are a special group of people. Somehow, they manage to balance many different demands, whether it’s people, technology, or understanding medical science—they are, in a manner of speaking, professional jugglers. In addition to those working in hospitals, there’s also some different characteristics (which are no less important) for nurses working in long-term facilities or rehab facilities where the jobs are just as demanding, but require a somewhat different skillset for patients and families. From my experience, it is clear that there’s more to nursing than just giving out medicine and changing bed pans. In business, I often say that there are people out there who are a jack-of-all trades and a master of none, but when it comes to nurses, they have to be a jack-of-all trades and a master of all. Between high taxes and lots of other public services that require funding, I’m not sure if it’s realistic for nurses to be paid what I believe they’re worth, however I honestly and truly appreciate their commitment to their profession and the vital work they do. To all of the nurses out there, thank you, never stop caring, and keep up the great work! Appreciation, Canada, Care, Customer, Customer Experience, Customer Service, Excellent Customer Service, Experience, Health, Medicine, Nurses, Nursing, Sensors Quality Management, Sensors Quality Management Inc, SQM, SQM Inc. While you’ll usually find me highlighting great businesses, today I wanted to take some time to highlight an amazing group of people. When I was a kid, I played in different organized sports leagues, like hockey or baseball. Typically, the coaches were the dad of someone’s kid and from time to time it was the mother. Often, the parents were just doing it to volunteer and spend time with the kids, and in many cases they didn’t know much about the sport. In general, they were simply there to organize the practices, meetups, etc. Fast forward about 40 years, and my daughter who is part sporty girl is involved with a number of sports including soccer, volleyball, and track and field. Maybe it’s just good fortune, but in many cases the coaches and organizers are either varsity, Olympic, or professional athletes in those sports. As I’ve gotten to know these coaches over the last few years, I’ve found myself with a newfound respect for their level of commitment and the amount of time, effort, and money they put into training to get to the elite level they are at. While there are professional athletes in dozens of sports, unfortunately there are only a small number of sports where professional athletes are able to make a living playing their sport. Too often, athletes have to supplement their passion for sport with another job to pay the bills. Over time, I’ve had the chance to learn about the way these athletes work and think. From their dedication and pursuit of perfection, getting up before the sun to train, facing long days at the office followed by long days at the sports complex, recovering from injuries and not letting injuries slow down other aspects of their lives, it’s been a real eye opener as to the enormous task athletes face on a day-to-day basis. 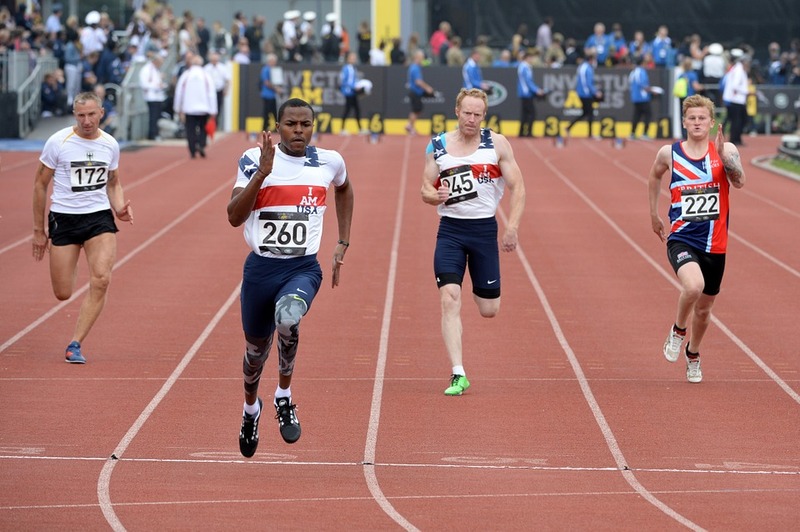 As a general suggestion to employers, many of the skills that athletes have learned are certainly transferable to different jobs and careers. Time management, patience, discipline, and self-confidence are only a few of the many skills that most athletes possess. While athletes may not necessarily have previous experience at a particular job, given all of the other characteristics and assets they can potentially bring to the table, they should without a doubt be considered in the hiring process. Over many years of being involved with sports, from playing in sports leagues myself, to cheering on my daughter, I’ve come to the conclusion that sports can certainly make you a well-balanced and versatile person. Appreciation, Athletes, Athletics, Businesses, Sensors Quality Management, Sensors Quality Management Inc, Sports, Sporty, SQM, SQM Inc.
As I usually do each summer, I recently went on a road trip to the United States, and while at the beginning of the summer I went to the western part of Pennsylvania, this time I headed east. We went to Philadelphia, but on the way I took my daughter to visit Hershey Park and Hershey’s Chocolate World (I can’t lie, I was more interested in visiting Hershey!). In Hershey, there are three main attractions, one of which is Hershey Park. If you love roller-coasters, they have a dozen to choose from, and they also have a great water park to cool off in. When you’re finished with the thrill rides, there’s Hershey’s Chocolate World, where there are tours, chocolate tasting, photo studios, and a create-your-own-candy-bar factory….a fun time for both young and old. If you’re into history, there’s also the Hershey museum, where you can walk through and learn about the family, the company, and the city. Since my wife isn’t into roller-coasters, on the day that I went to the park, her and a friend decided to check out some other attractions in the city, of which there are several. My wife started the day by being adventurous, by going spelunking and exploring the caves at Indian Echo Caverns. 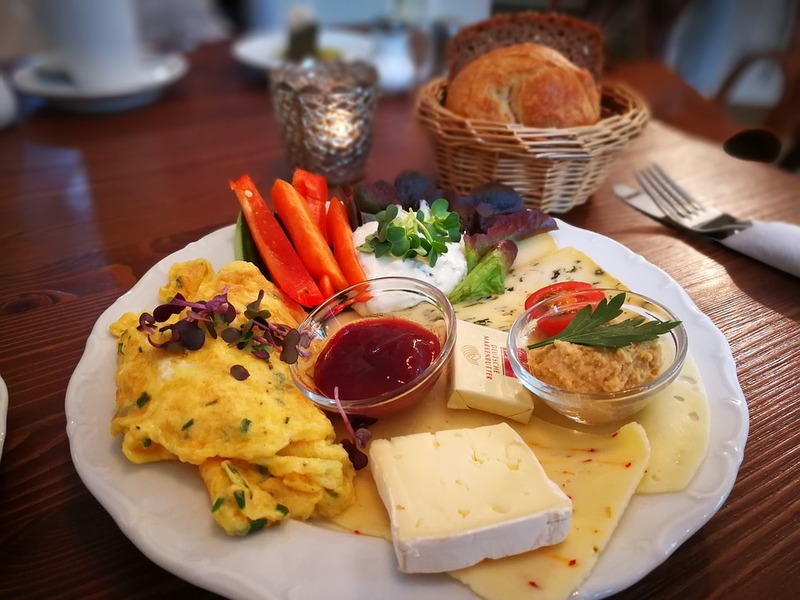 After working up an appetite, she then visited Tröegs Brewery, where she took a tour to get a firsthand glimpse into the work that goes into the production process, tried several beers, and enjoyed some great food. After we spent a couple days at Hershey’s we set off for Philadelphia, and I wasn’t sure of what to expect, but it’s a really interesting place with a lot of history. 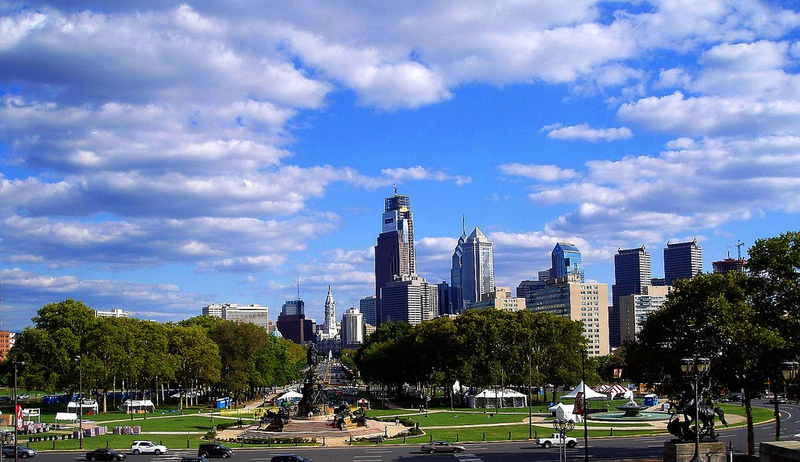 Most people know the city as the home of the Liberty Bell and Independence Hall, where both the United States Declaration of Independence and the United States Constitution were signed, but there is so much more to Philly! Down the street from the Liberty Bell are two cool buildings you must see: one one side of the street is the mint, where coins are made, and on the other side of the street is the federal reserve where they destroy money. Both buildings offer free tours, and you can pick up some spiffy souvenirs…but no free samples. Another historical site is the Betsy Ross House, where Betsy Ross lived when she sewed the first American flag. Lastly, for those into history, a short drive from Philadelphia is Valley Forge, the encampment for George Washington’s Continental Army spent the winter. An interesting fact that I learned on the trip is contrary to public belief, no fighting took place at Valley Forge…it was actually where they prepared for upcoming battles. Of course, when you’re in Philadelphia no trip would be complete without a run up the Rocky Steps: 72 stone steps before the entrance of the Philadelphia Museum of Art. The museum is one of many in the area, all of which are interesting and have their own quirks. As an example, you can walk through a human heart in The Franklin Institute. There are many other sites to check out in the city, including the waterfront area where they have The Rail Park– it’s a green park stretching three miles across Philadelphia on an old rail line. If you like sports there’s the major league baseball Philadelphia Phillies, the Philadelphia Flyers hockey team, the Philadelphia 76ers basketball team, and the Supberbowl champion, Philadelphia Eagles football team. As everyone knows, one of my favourite pastimes is food, and one must-visit place is the Reading (pronounced redding) Terminal Market, where it’s a combination of a farmer’s market and food kiosks. Drop by and pick up anything from a deli sandwich to chicken wings, to a philly cheese steak. I highly recommend visiting Beiler’s Bakery at the market, for specialty donuts such as the pumpkin pecan maple donut, the key lime pie donut, and the caramel latte donut. If you’re up for trying something a bit different, there’s Pho 75, where you can get a combination of noodles, protein and veggies in soup for under $12.00 a person. Lastly, there’s John’s Roast Pork, which has a great pork sandwich but is famous for it’s Philly cheese steak. Be prepared to line up…. it’s that popular! Finally, when it comes to food, take a trip down memory lane and visit The Franklin Fountain, an old-style soda shop that serves ice cream, malts, and sundaes. They’re known for they’re spectacular Root Beer floats which have been featured on a number of television shows. Lastly, one thing that I often find very useful for city trips is to take the hop-on-hop-off tours. We took ours with Big Bus Tours and the tour guides were extremely knowledgeable and the route featured almost 30 stops to well….hop on and off as you please. I highly recommend visiting Philadelphia if you get the chance. It’s a beautiful city with lots to offer. While I’m usually visiting my friend in Orillia for some fun and relaxation, a couple of weeks ago I decided to beat the long weekend traffic by heading up a day early. My plan was to simply work on the Friday from up north; however, since my wife was also working, she ordered me out of the house so I didn’t distract her. As a result of my eviction, I decided to go work at the library, and when I got there it dawned on me what a great city Orillia is. Not just to visit, but to live and work in. In terms of the library, I was completely surprised by how modern and new the amenities were. From updated computers, to quiet rooms that you could book, to free WiFi, and all sorts of amazing programs and activities. But the library was really just the tip of the iceberg to the other benefits of living in the community. As mentioned in my last blog, Orillia has a large number of chain retail stores (Costco just opened up there), tons of shopping, and a variety of restaurants. In addition to a variety of amenities, the city also has a modern hospital that has recently expanded. When it comes to transportation, the city is close to the highway, has public transit within the city, and if you need to get down to Toronto, there’s a number of options (if you can get to Barrie there is also GO trains and busses). One other thing that I’ve come to notice in Orillia, is that there aren’t really many traffic jams. Even in the summer time, with people going to the beach or the cottage, traffic generally moves along smoothly. While there are still cars on the road, it’s never crazy busy like Toronto’s main streets or the 401, so it is also a less stressful commute. Another bonus for drivers is that for whatever reason, the gas is much less expensive than it is in the city, with the price being as much as 15 cents less a litre! When it comes to real estate, the market also seems to be much more reasonably priced for both buying homes, renting apartments, and leasing office space. Orillia is the OPP’s headquarters, so I have to think it’s a relatively safe community. I’m not sure what the employment opportunities are like, but it has just about any of the amenities that a larger city would have. As I get a bit older, I realize that there’s certainly an allure to being able to work during the day and only be minutes from the beach or a boat for the evening and weekends. 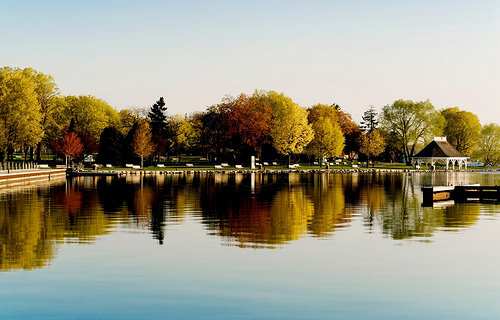 A lot of people have migrated from Toronto to Barrie, but it might be worth looking another 20 minutes north to Orillia, for another potential hidden gem.